The Dusk Road calls, and we will answer its summons. It is dangerous to go alone, and luckily, we don’t have to. Today we are going to take a first look at some of what’s coming, starting with cards that promote teamwork and clever deckbuilding. First up is a new mechanic called Ally. Your units will grow stronger when they have backup, making already-strong cards even stronger. Let’s see what an Ally card looks like. Each Ally ability has a type, which is frequently (but not always) of the same type as the unit itself. When you have another unit of the type that Ally calls out, the Ally bonus goes off. It doesn’t matter which order the units come out, or if the Ally dies – as long as the unit with Ally saw another unit for even a split second, they get their Ally bonus. 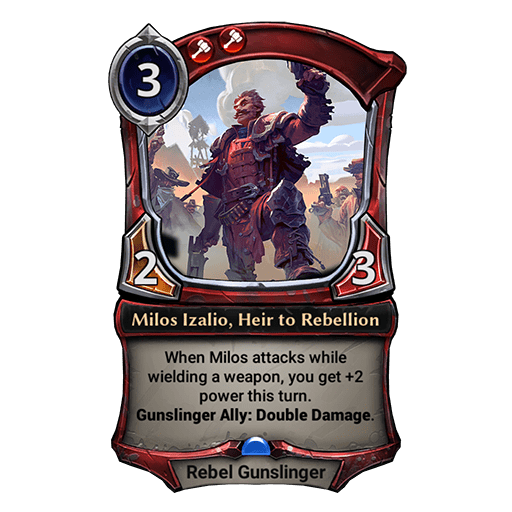 In the case of Milos, he gains Double Damage if you have another Gunslinger, and from then on gets to keep it. The Ally bonus doesn’t go away, even if both partners die or are otherwise removed from play. If the unit with Ally leaves play, then returns (comes back from the Void, or gets bounced, etc), it can get the Ally bonus again. For something like “Ally: +2/+2”, that stacks quite nicely. 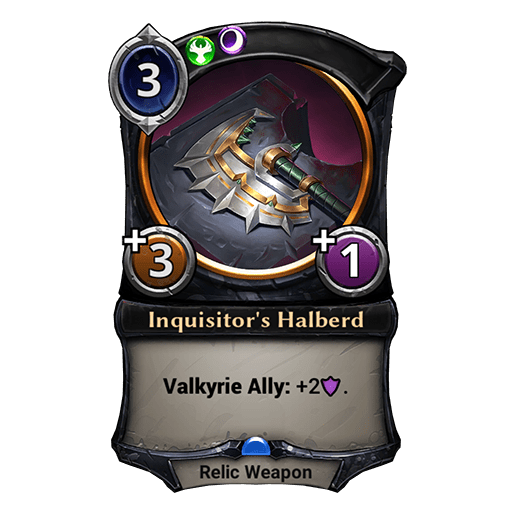 If you have a Valkyrie when you play this, or play one afterwards, you get two bonus Armor, making it likely you will get to ask a lot of questions with that Halberd. If you can figure out a way to get the Halberd back from the void, it can even continue to grow more and more fearsome. I mentioned that some Ally cards key off other unit types, so let’s take a look at one before moving on. 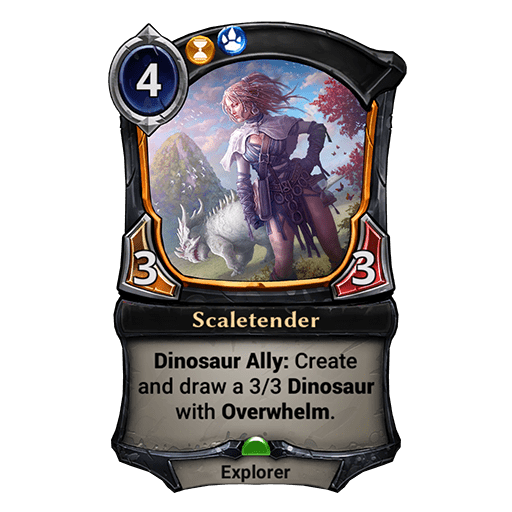 Scaletender explores the wilds, and when she comes across a Dinosaur, you draw a 3/3 Dinosaur with Overwhelm. Once the scales are nicely tended, you get a solid little army with just a one card investment. 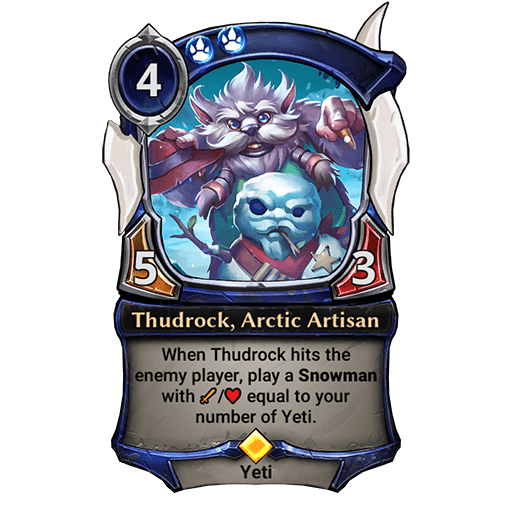 Ally isn’t the only reason to care about unit types in The Dusk Road. I’ve got a couple more cards to show you, starting with one of my favorites. Thudrock also plays nicely with Overwhelm, or Flying, and there are plenty of ways to grant him such battle skills. Plus, even if all this fanciness isn’t for you, there’s absolutely nothing wrong with just playing Thudrock and attacking with him. Yetis aren’t known for their subtlety, after all. Milos has allies, and Stella here makes all your Gunslingers (and weapons) much more fearsome. 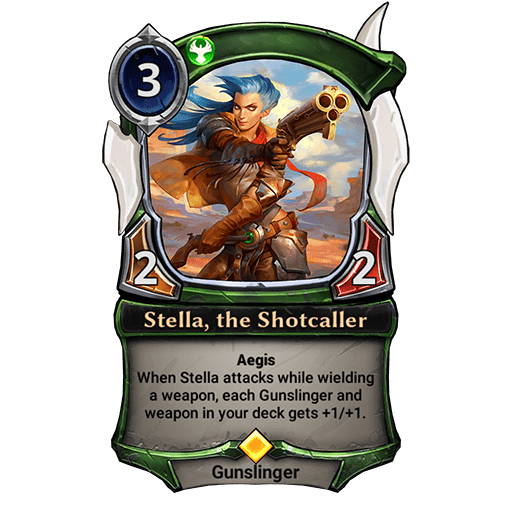 Gunslingers like being armed, and both Stella and Milos become a lot stronger once they have a weapon in hand. Stella’s Aegis makes it more likely she survives to make that critical attack, and if you can find a good enough weapon, she’ll even live through combat and get multiple hits in. The last card I’m going to leave you with is shrouded in mystery, or at least the dark of night. 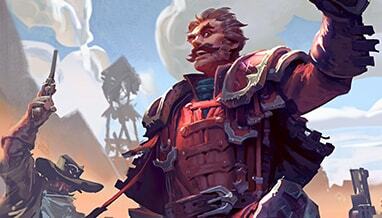 As with all these cards, you have good reason to care about unit types when you put Agile Deathjaw in your deck. It’s one of the major themes in The Dusk Road, and there are a lot of aspects to it. 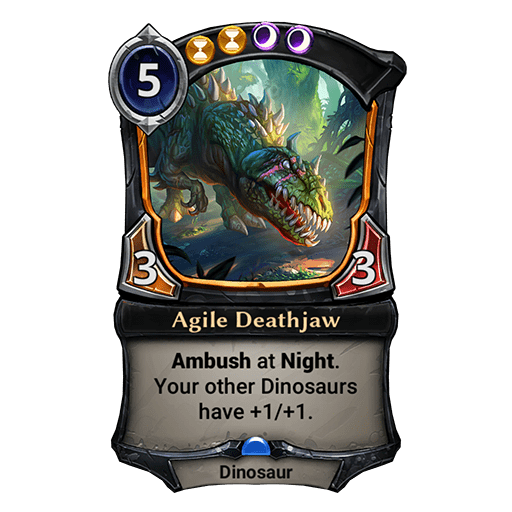 Agile Deathjaw makes your other Dinosaurs stronger and can come out unexpectedly, as long as it’s Night. You may be asking “what does Night mean?” Stay tuned – we will shine a light on that soon enough.